Attendance is very important in the academic journey of students. Unexcused absences can actually affect the performance of students especially if they miss an examination or a particular discussion. With this, an attendance contract is important to be made. 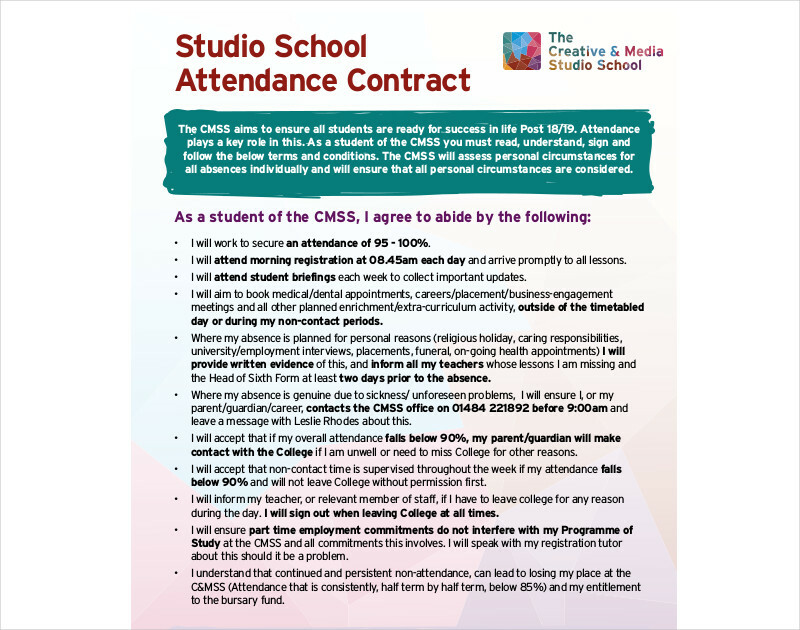 Compared to an Employment Contract and an Internship Contract, an attendance contract is much simpler. However, this should not mean that making an attendance contract should not be taken seriously. 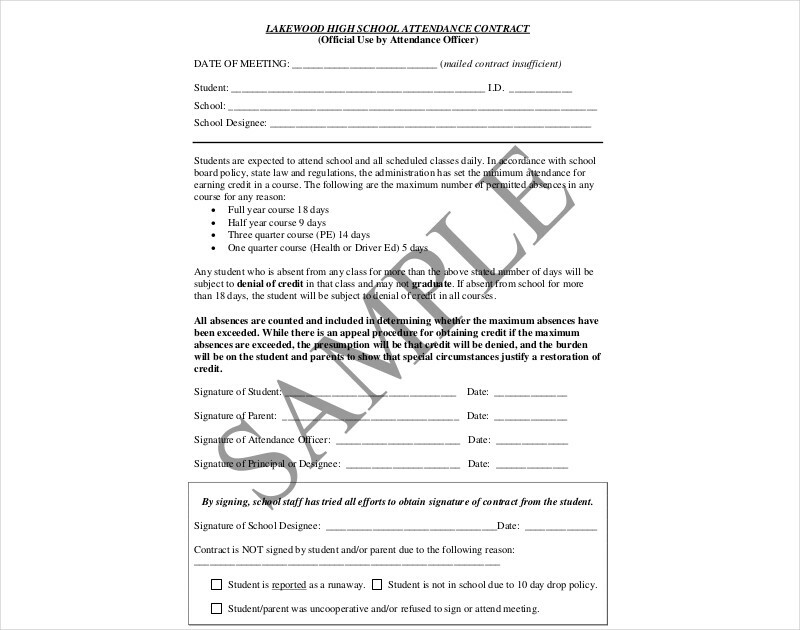 We have put together some attendance contracts in this post to serve as your references. 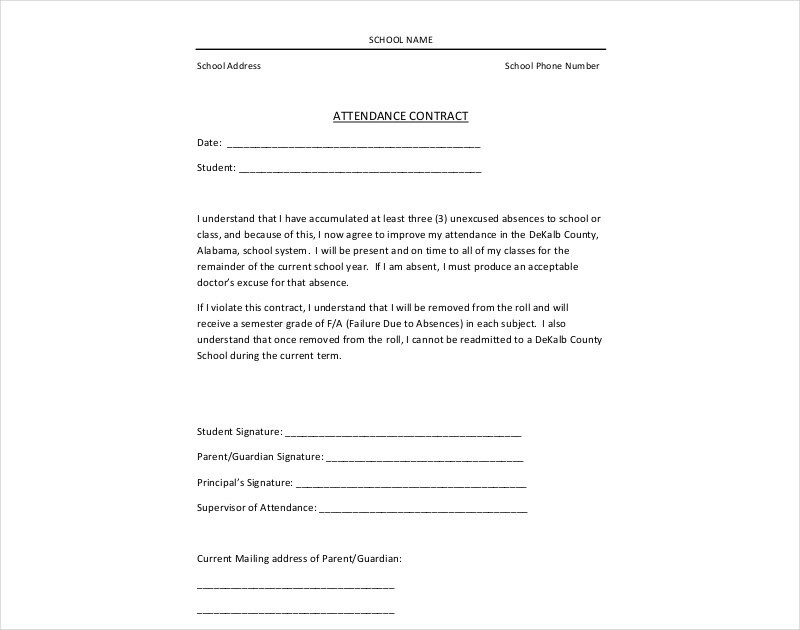 Having these attendance contract document guides can help you make an impressive contract even if it just your first time to make one. Browse through them now and see how they can be of help in your endeavor to create an attendance contract. The spaces where the signatures of the student, the guardian of the student and the school administrator will be affixed. You may also see employment contract examples. 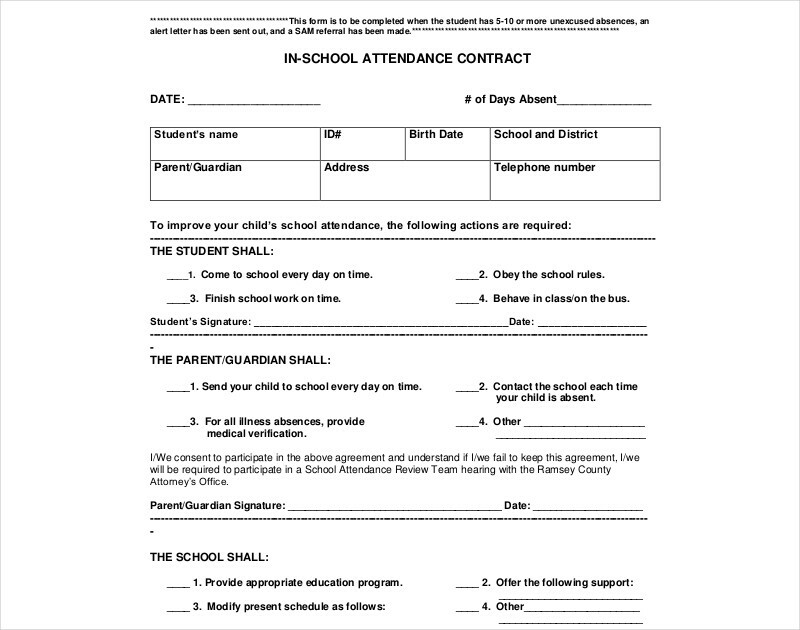 The list of the attachments necessary to support the attendance contract content. 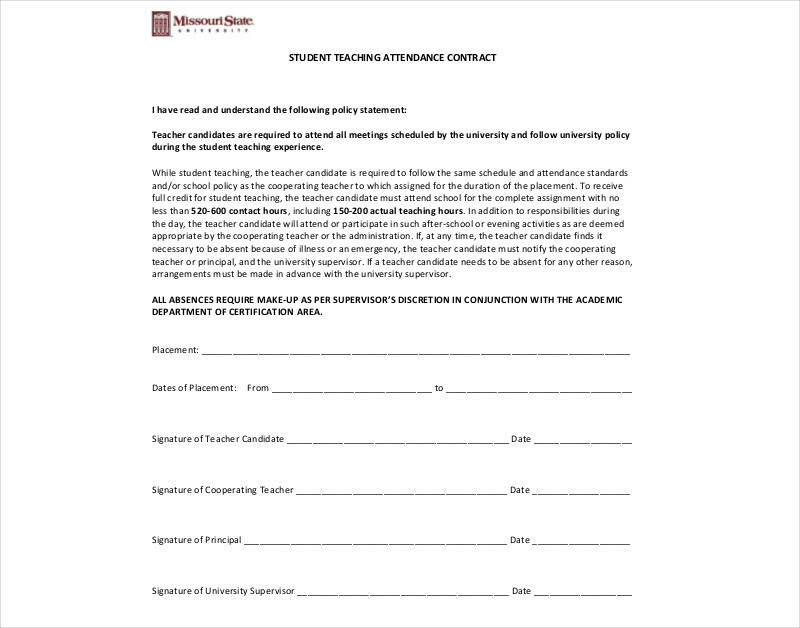 Ensure that the contract will make the students aware that attendance is one of the key elements that can help them become a more significant member of the academic institution. 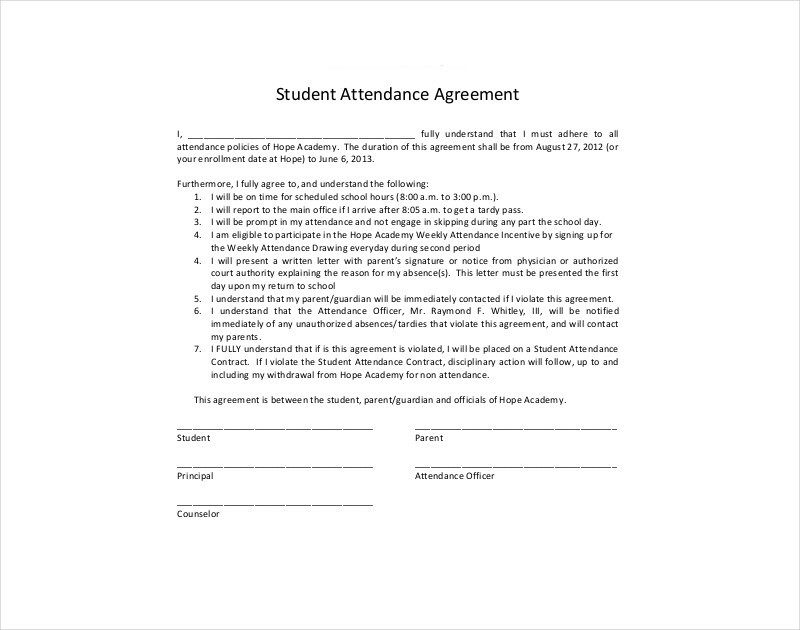 Create an attendance contract that thoroughly explains the responsibilities of the students when it comes to attendance. Present the possible consequences of continuous unexcused absences. 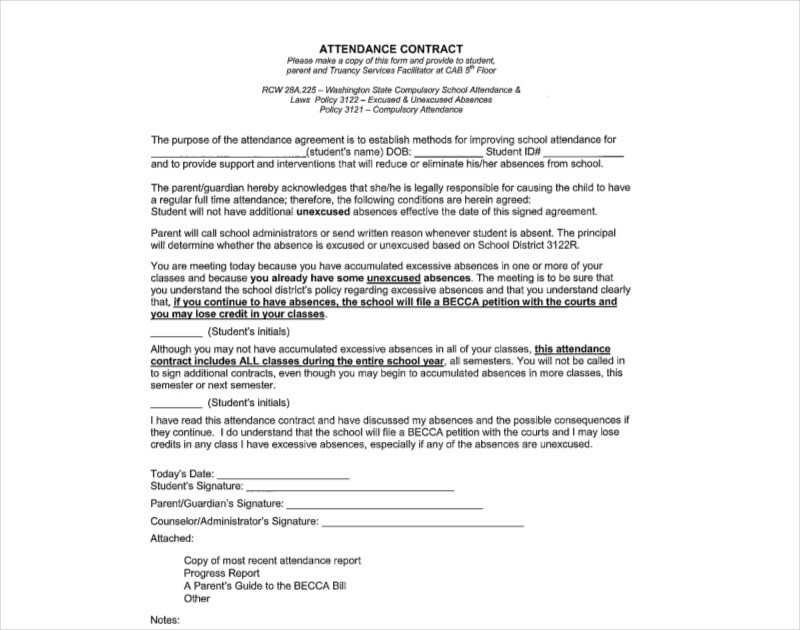 Refer to Behavior Contract examples and other attendance contracts so you can have more idea on how you can develop the attendance contract that you want to have. If you do not have any background when it comes to Writing Contracts, refer to the examples that you can download here. Moreover, make sure that you will not forget the tips, guidelines and other suggestions that we have specified and discussed in this post.